The 11th annual Coupe Devils Rod & Kustom Bonanza at Bruvollen in Blaker, Norway. The 1st Customs by the Sea in Santa Barbara, California will be held March 9, 2019. The 10th annual Coupe Devils Rod & Kustom Bonanza was held June 15-17, 2018 at Bruvollen in Blaker, Norway. The 5th annual Customs by the Sea was held June 9-10, 2018 in Wildwood, New Jersey. The 7th annual The Race of Gentlemen was held June 8-10, 2018 in Wildwood, New Jersey. The 37th annual West Coast Kustoms Cruisin' Nationals was held May 25-27, 2018 in Santa Maria, California. The 4th annual Slim's Rod & Kustom Invitational - April 29, 2018 in Whippany, New Jersey. The 26th annual Mooneyes Yokohama Hot Rod Custom Show will be held December 3, 2017 at the Pacifico Yokohama International Exhibition Hall in Yokohama, Japan. The 2017 Dia De Los Kustoms was held October 28 in Dallas, Texas. The 14th annual Jalopyrama was held October 14, 2017 in Westminister, Maryland. The 21st annual A-Bombers Old Style Weekend was held August 3-5, 2017 at Backamo Lägerplats in Uddevalla, Sweden. The 9th annual Coupe Devils Rod & Kustom Bonanza was held June 23-25, 2017 at Bruvollen in Blaker, Norway. The 4th annual Customs by the Sea in Wildwood, New Jersey - June 10-11, 2017. The 5th annual Custom Car Revival - June 8-10, 2017 in Indianapolis, Indiana. The 3rd annual Slim's Rod & Kustom Invitational - April 30, 2017 in Whippany, New Jersey. The 2017 Sled Fest - April 29, 2017 in Duncannon, Pennsylvania. The 1st Satan's Angels Poker Run - April 1, 2017 in Pleasanton, California. The 2017 Sacramento Autorama - February 17-19, 2017 at the Cal Expo in Sacramento, California. The 2017 Paradise Road Hot Rod & Motorcycle Show was held January 14-15 at Ace Hotel in Palm Springs, California. The 25th annual Yokohama Hot Rod Custom Show was held December 4, 2016. The 2016 Dia De Los Kustoms was held October 29 in Dallas, Texas. The 1st Customs by the Sea in Pismo, California was held October 15-16, 2016. The 1st The Race of Gentlemen in Pismo, California was held October 15-16, 2016. The 13th annual Jalopyrama was held October 15, 2016. The 5th annual Dusters Time Travel Meet was held July 15-17, 2016. The 2016 Lead Parking was held July 9, 2016. The 7th annual NorCal Knockout was held July 2, 2016. The 8th annual Coupe Devils Rod & Kustom Bonanza was held June 24-26, 2016. The 52nd annual LA Roadsters Show - June 18-19, 2016. The 4th annual Custom Car Revival - June 9-11, 2016. The 3rd annual Customs by the Sea in Wildwood, New Jersey - June 4-5, 2016. The 5th annual The Race of Gentlemen in Wildwood, New Jersey - June 4-5, 2016. The 15th annual Lonestar Roundup - April 8-9, 2016 in Austin, Texas. The 16th annual Misfires Groundhog Gala - February 6, 2016 in Sanford, Florida. The 24th annual Mooneyes Yokohama Hot Rod Custom Show - December 6, 2015. The 4th annual Race of Gentlemen - October 2-4, 2015 in Wildwood, New Jersey. The 2nd annual Customs by the Sea - October 3-4, 2015 in Wildwood, New Jersey. The 2nd annual Custom Capital was held June 27, 2015 in Manzanita Park in Prunedale, California. The 3rd annual Custom Car Revival was held June 11 - 13, 2015 at Edwards Drive-In in Indianapolis, Indiana. The 7th annual Coupe Devils Rod & Kustom Bonanza - May 22-24, 2015 at Bruvollen in Blaker, Norway. Gasoline Magazine Swap Meet - April 25, 2015 in Stockholm, Sweden. The 63rd annual Detroit Autorama - March 6-8, 2015 at the Cobo Center in Detroit, Michigan. The 66th annual Grand National Roadster Show - January 23-25, 2015 in Pomona, California. The 2nd anuual Kustoms Gathering - October 18, 2014 in Moonachie, New Jersey. The 3rd annual The Race of Gentlemen - October 3-5, 2014 in WIldwood, New Jersey. The 1st Customs by the Sea - October 3-5, 2014 in Wildwood, New Jersey. The 2014 Do-Dads Reunion - July 25-27, 2014 in Finland. The 2014 Hot Rod Hayride - July 25 - 27, 2014 in Surrey, UK. The 2014 KKOA Leadsled Spectacular was held July 24 - 27, 2014 in Salina, Kansas. The 2014 Dusters Time Travel Meet was held July 11-13, 2014 at Tuna-Hästberg Folkpark in Dalarnas Län, Sweden. The 5th annual NorCal Knockout was held July 5, 2014 at the Solano County Fairgrounds in Vallejo, California. The 2014 Custom Car Revival was held June 12 - 14, 2014 at Edwards Drive-In in Indianapolis, Indiana. The 64th annual Sacramento Autorama. The 50th annual Darryl Starbird's Tulsa, Oklahoma Rod & Custom Car Show was held February 14 - 16, 2014 at the River Spirit Expo Fairgrounds in Tulsa, Oklahoma. The 65th annual Grand National Roadster Show was held January 24 - 26, 2014 at the Fairplex in Pomona, California. Gene Winfield and Larry Watson Custom Car and Hot Rod Gathering 2013. The 2nd annual The Race of Gentlemen was held October 4-6, 2013 in Wildwood, New Jersey. The 66th annual San Diego Prowlers Picnic and Ole Timer's Reunion will be held September 28, 2013 at Ventura Cove Park on Mission Bay. The 2013 Jokers Car & Bike Show. Bastardized & Undertakers Fest 2013. The Race of Gentlemen 2012. Gene Winfield and Larry Watson Custom Car and Hot Rod Gathering 2012. Thee Inland Emperors Eastside vs Westside Flathead Run 2012. The first annual Jokers Car Show was held June 5th, 2004 in Tidaholm, Sweden. The first A-Bombers Desperate Old Style Weekend was held August 23-25, 1996 at Skeppsvikens Camping in Uddevalla, Sweden. The 1986 Hot Rod Show was held March 1-9, 1986 at Skärholmsmässan in Stockholm, Sweden. The 10th annual Hot Rod Show Borlänge was held March 1-2, 1986 in Borlänge, Sweden. The 1966 Linköping Hot Rod Festival was held November 25-27, 1966 at Rally Hotel in Linköping, Sweden. The 1966 Masthugget Hot Rod Festival was held October 26-30, 1966 at BP Bilpark Masthugget in Gothenburg, Sweden. The 1966 Showtime Sweden Örebro show was held January 6 thru 9, 1966 at Görtz Motor in Örebro, Sweden. The 1965 Pacific Northwest Motorama was held November 5 - 7, 1965 at the Tacoma Armory in Tacoma, Washington. The show was presented by the Tacoma Toppers car club. The 1965 Winternationals was held January 28 - February 7, 1965, consisting of the Winternationals Custom Auto Fair and the Winternationals Championship Drag Races. The 1964 Pacific Northwest Motorama was held November 6 - 8, 1964 at the Tacoma Armory in Tacoma, Washington. The show was presented by the Tacoma Toppers car club. The 8th annual Portland Roadster Show was held March 5-8, 1964 at the Memorial Colosseum Portland, Oregon. The 7th San Mateo Custom, Rod & Sports Car Show was held January 5-7, 1962 in San Mateo, California. The 5th annual Ram Rods Rod and Custom Car Show was held April 6-8, 1962 at the National Guard Armory in Washington D.C. The 2nd annual Tridents Rod and Custo-Rama was held November 16-23, 1961 at the Pasadena Civic Auditorium in Pasadena, California. The 11th annual Hartford Autorama was held February 22-26, 1961 at the Connecticut State Armory in Hartford, Connecticut. The 1959 Bakersfield Motor & Boat Show was held November 26 - 29, 1959 at the Kern County Fair Grounds in Bakersfield, California. The 1959 Mid-America Auto Spectacular was held October 10-11, 1959 in Topeka, Kansas. The 3rd annual Krankers Motor Revue 1959 was held on June 13th and 14th 1959 at the Commercial Exhibits Building at the National Orange Show Grounds, San Bernardino, California. The 1st annual San Luis Obispo Motor Show was held May 1, 2, 3, 1959 at the National Guard Armory at Camp San Luis Obispo in San Luis Obispo, California. The 1959 Pasadena Motor Pageant was held April 23 - 26, 1959 at the Pasadena Civic Auditorium in Pasadena, Calfiornia. The 4th annual Bearing Busters Rod & Custom Show was held March 15, 1959. The 2nd annual Krankers Motor Revue 1958 was held on June 7 and 8 at the National Orange Show Grounds, San Bernardino, California. The 8th annual Hartford Autorama was held February 19 - 23, 1958 at the State Armory in Hartford, Connecticut. The 2nd annual Portland Roadster Show was held October 18 thru 20, 1957 at the Multnomah County Fair Grounds in Gresham, Oregon. The second annual Tacoma Hot Rod Show was held March 2-4, 1956 at the Tacoma Armory in Tacoma, Washington. The first annual Pasadena Auto Show and Reliability Run was held March 30, 1952 at Victory Park in Pasadena, California. The 1951 Custom, Sports Car and Hot Rod Show was held April 12-15, 1951 at the Navy Pier in Chicago, Illinois. The official program for the first Hot Rod Exposition held in 1948. 06.14 thru 06.16.2019 - The 11th annual Coupe Devils Rod & Kustom Bonanza at Bruvollen in Blaker, Norway. 03.09.2019 - The 1st Customs by the Sea in Santa Barbara, California. 03.08 thru 03.09.2019 - The 1st Santa Barbara Drags in Santa Barbara, California. 01.25 thru 01.27.2018 - The 70th annual Grand National Roadster Show at the Fairplex in Pomona, California. 06.15 thru 06.17.2018 - The 10th annual Coupe Devils Rod & Kustom Bonanza at Bruvollen in Blaker, Norway. 06.09 thru 06.10.2018 - The 5th annual Customs by the Sea in Wildwood, New Jersey. 06.09 thru 06.10.2018 - The 7th annual The Race of Gentlemen in Wildwood, New Jersey. 05.25 thru 05.27.2018 - The 37th annual West Coast Kustoms Cruisin' Nationals in Santa Maria, California. 04.29.2018 - The 4th annual Slim's Rod & Kustom Invitational in Whippany, New Jersey. 03.02 thru 03.04.2018 - The 66th annual Detroit Autorama at the Cobo Center in Detroit, Michigan. 02.16 thru 02.18.2018 - The 68th annual Sacramento Autorama at the Cal Expo in Sacramento, California. 01.26 thru 01.28.2018 - The 69th annual Grand National Roadster Show at the Fairplex in Pomona, California. 12.03.2017 - The 26th Yokohama Hot Rod Custom Show at the Pacifico Yokohama International Exhibition Hall in Yokohama, Japan. 10.28.2017 - The 2nd annual Dia De Los Kustoms in Dallas, Texas. 10.14.2017 - The 14th annual Jalopyrama in Westminister, Maryland. 09.30.2017 - The 2nd annual Old North State Invitational in Winston Salem, North Carolina. 08.03 thru 08.05.2017 - The 21st annual A-Bombers Old Style Weekend at Backamo Lägerplats in Uddevalla, Sweden. 06.23 thru 06.25.2017 - The 9th annual Coupe Devils Rod & Kustom Bonanza at Bruvollen in Blaker, Norway. 06.10 thru 06.11.2017 - The 4th annual Customs by the Sea in Wildwood, New Jersey. 06.10 thru 06.11.2017 - The 6th annual The Race of Gentlemen in Wildwood, New Jersey. 06.08 thru 06.10.2017 - The 5th annual Custom Car Revival at Edwards Drive-In in Indianapolis, Indiana. 04.30.2017 - The 3rd annual Slim's Rod & Kustom Invitational in Whippany, New Jersey. 04.29.2017 - The 7th annual Sled Fest in Duncannon, Pennsylvania. 04.01.2017 - The 1st Satan's Angels Poker Run in Pleasanton, California. 02.17 thru 02.19.2017 - The 67th annual Sacramento Autorama at the Cal Expo in Sacramento, California. 01.27 thru 01.29.2017 - The 68th annual Grand National Roadster Show at the Fairplex in Pomona, California. 12.04.2016 - The 25th Yokohama Hot Rod Custom Show at the Pacifico Yokohama International Exhibition Hall in Yokohama, Japan. 10.29.2016 - The 1st Dia De Los Kustoms in Dallas, Texas. 10.15 thru 10.16.2016 - The 1st Customs by the Sea in Pismo, California. 10.15 thru 10.16.2016 - The 1st The Race of Gentlemen in Pismo, California. 10.15.2016 - The 13th annual Jalopyrama in Westminister, Maryland. 07.15 thru 07.17.2016 - The 2016 Dusters Time Travel Meet at Tuna-Hästberg Folkpark in Dalarnas Län, Sweden. 07.09.2016 - CKOS Lead Parkin' at Skultuna Messingbruk in Skultuna, Sweden. 07.02.2016 - The 7th annual NorCal Knockout at Solano County Fairgrounds in Vallejo, California. 06.24 thru 06.26.2016 - The 8th annual Coupe Devils Rod & Kustom Bonanza at Bruvollen in Blaker, Norway. 06.18 thru 06.19.2016 - The 52nd annual LA Roadsters Show at the Pomona Fairplex in Pomona, California. 06.09 thru 06.11.2016 - The 4th annual Custom Car Revival at Edwards Drive-In in Indianapolis, Indiana. 06.04 thru 06.05.2016 - The 3rd annual Customs by the Sea in Wildwood, New Jersey. 06.04 thru 06.05.2016 - The 5th annual The Race of Gentlemen in Wildwood, New Jersey. 04.08 thru 04.09.2016 - The 15th annual Lonestar Roundup at the Travis County Expo Center in Austin, Texas. 02.06.2016 - The 16th annual Misfires Groundhog Gala at The Barn in Sanford, Florida. 01.29 thru 01.31.2016 - The 67th annual Grand National Roadster Show at the Fairplex in Pomona, California. 12.06.2015 - The 24th Yokohama Hot Rod Custom Show at the Pacifico Yokohama International Exhibition Hall in Yokohama, Japan. 10.16 thru 10.17.2015 - The 1st Bayou Round Up at the Blackham Coliseum in Lafayette, Louisiana. 10.10 thru 10.11.2015 - The 4th annual The Race of Gentlemen in Wildwood, New Jersey. 10.10 thru 10.11.2015 - The 2nd annual Customs by the Sea in Wildwood, New Jersey. 07.30 thru 08.01.2015 - The 20th annual A-Bombers Old Style Weekend at Backamo Lägerplats in Uddevalla, Sweden. 06.27.2015 - The 2nd anual Custom Capital in Manzanita Park in Prunedale, California. 06.11 thru 06.13.2015 - The 3rd annual Custom Car Revival at Edwards Drive-In in Indianapolis, Indiana. 05.22 thru 05.24.2015 - The 7th annual Coupe Devils Rod & Kustom Bonanza at Bruvollen in Blaker, Norway. 03.06 thru 03.08.2015 - 63rd annual Detroit Autorama at the Cobo Center in Detroit, Michigan. 02.14 thru 02.16.2015 - The 65th annual Sacramento Autorama at the Cal Expo in Sacramento, California. 01.23 thru 01.25.2015 - The 66th annual Grand National Roadster Show at the Fairplex in Pomona, California. 10.18.2014 - Kustoms Gathering in Moonachie, New Jersey. 10.03 thru 10.05.2014 - The Race of Gentlemen in Wildwood, New Jersey. 10.03 thru 10.05.2014 - Customs by the Sea in Wildwood, New Jersey. 08.01 thru 08.02.2014 - A-Bombers Old Style Weekend at Backamo Lägerplats in Uddevalla, Sweden. 07.05.2014 - The 5th annual NorCal Knockout at Solano County Fairgrounds in Vallejo, California. 06.27 thru 06.29.2014 - The 6th annual Coupe Devils Rod & Kustom Bonanza at Bruvollen in Blaker, Norway. 06.12 thru 06.14.2014 - Custom Car Revival at Edwards Drive-In in Indianapolis, Indiana. 03.07 thru 03.09.2014 - The 62nd annual Detroit Autorama at the Cobo Center in Detroit, Michigan. 02.14 thru 02.16.2014 - The 50th annual Darryl Starbird's Tulsa, Oklahoma Rod & Custom Car Show at the River Spirit Expo Fairgrounds in Tulsa, Oklahoma. 01.24 thru 01.26.2014 - The 65th annual Grand National Roadster Show at the Fairplex in Pomona, California. 10.19.2013 - Jalopyrama at the Annapolis National Guard Armory in Annapolis, Maryland. 10.12.2013 - Gene Winfield and Larry Watson Custom Car and Hot Rod Gathering at Winfield's Custom Shop in Mojave, California. 08.17.2013 - Turku Kustom Show in Turku, Finland. 08.02 thru 08.03.2013 - A-Bombers Old Style Weekend at Backamo Lägerplats in Uddevalla, Sweden. 07.12 thru 07.14.2013 - Coupe Devils Rod & Kustom Bonanza at Blaker, near Oslo, Norway. 05.25.2013 - Bastardized & Undertakers Fest in Nyköping, Sweden. 05.03 thru 05.04.2013 - Vintage Torque Fest in Dubuque, Iowa. 03.28 thru 03.31.2013 - Viva Las Vegas Rockabilly Weekend at Orleans Hotel in Las Vegas, Nevada. 12.02.2012 - Yokohama Hot Rod Custom Show at the Pacifico Yokohama International Exhibition Hall in Yokohama, Japan. 10.21.2012 - Bailon's a Blast From the Past at Gold Country Fairgrounds in Auburn, California. 10.13.2012 - Gene Winfield and Larry Watson Custom Car and Hot Rod Gathering at Winfield's Custom Shop in Mojave, California. 09.15.2012 - Thee Inland Emperors Eastside vs Westside Flathead Run in Vantage, Washington. 08.03 thru 08.04.2012 - A-Bombers Old Style Weekend at Backamo lägerplats in Uddevalla, Sweden. 07.07.2012 -Gambino Kustoms The Sit-Down at 645 Horning St. in San Jose, California. 06.30.2012 - Shifters So Cal. 20 Year Anniversary Celebration at Bondock's Irish Pub in Corona, California. 05.04 thru 05.06.2012 - Stray Kat 500 in Dewey, Oklahoma. 06.05.2004 - Jokers Car Show at Tidaholmsparken in Tidaholm, Sweden. 08.23 thru 08.25.1996 - The 1st A-Bombers Desperate Old Style Weekend at Skeppsvikens Camping in Uddevalla, Sweden. 03.01 thru 03.02.1986 - Hot Rod Show Borlänge in Borlänge, Sweden. 03.01 thru 03.09.1986 - Hot Rod Show at Skärholmsmässan in Stockholm, Sweden. 01.02 thru 01.04.1976 - The 24th annual Detroit Autorama at the Cobo Center in Detroit, Michigan. 11.25 thru 11.27.1966 - Hot Rod Festival Linköping at Rally Hotel in Linköping, Sweden. 10.26 thru 10.30.1966 - Hot Rod Festival Masthugget at BP Bilpark Masthugget in Gothenburg, Sweden. 01.06 thru 01.09.1966 - Showtime Sweden Örebro at Görtz Motor in Örebro, Sweden. 11.05 thru 11.07.1965 - Pacific Northwest Motorama at the Tacoma Armory in Tacoma, Washington. 02.05 thru 02.07.1965 - Winternationals Championship Drag Races at the Los Angeles County Fairgrounds in Pomona, Caliofrnia. 11.06 thru 11.08.1964 - Pacific Northwest Motorama at the Tacoma Armory in Tacoma, Washington. 03.05 thru 03.08.1964 - The 8th annual Portland Roadster Show at the Memorial Colosseum Portland, Oregon. 01.05 thru 01.07.1962 - San Mateo Custom, Rod & Sports Car Show in San Mateo, California. April: 04.06 thru 04.08.1962 - The 5th annual Ram Rods Rod and Custom Car Show in Washington D.C.
06.13 thru 06.14. 1959 - The 3rd annual Krankers Motor Revue 1959 was held at the Commercial Exhibits Building at the National Orange Show Grounds, San Bernardino, California. 05.01 thru 05.03.1959 - The 1st annual San Luis Obispo Motor Show at the National Guard Armory in San Luis Obispo, California. 04.23 thru 04.26.1959 - Pasadena Motor Pageant at the Pasadena Civic Auditorium in Pasadena, Calfiornia. 05.15.1954 - Los Angeles County Auto Show at the Thrifty store parking lot at Rodeo Rd. and La Brea in Los Angeles, California. 01.23 thru 01.25.1948 - Hot Rod Exposition at the National Guard Armory in Los Angeles, California. 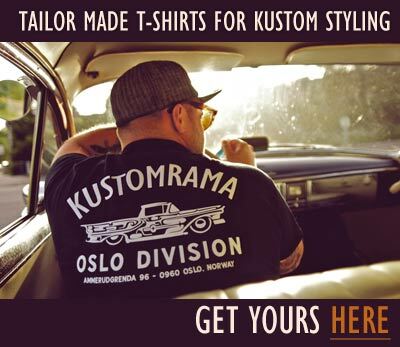 Visit the Kustomrama Online Store - Tailor made t-shirts for kustom styling. 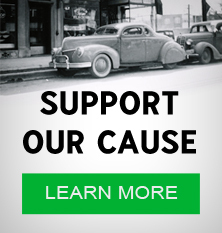 Kustomrama is an online encyclopedia dedicated to traditional hot rod and custom cars. 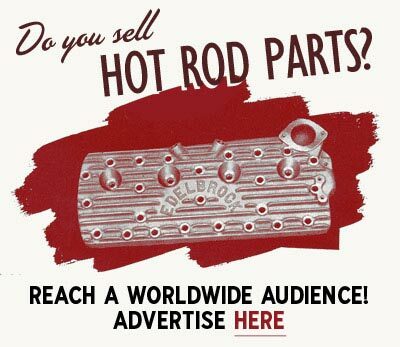 Our mission is to protect, preserve and share traditional hot rod custom car history from all over the world. Find out how you can become a contributor. Forward this article to a friend. 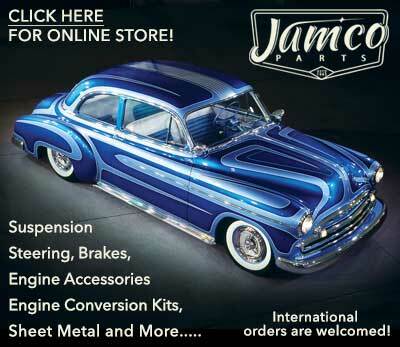 Subscribe to our newsletter and receive updates on Event Calendar and other subjects featured on Kustomrama. If you have additional information, photos, feedback or corrections about Event Calendar, please get in touch with Kustomrama at: mail@kustomrama.com. This page was last edited on 17 April 2019, at 02:44.